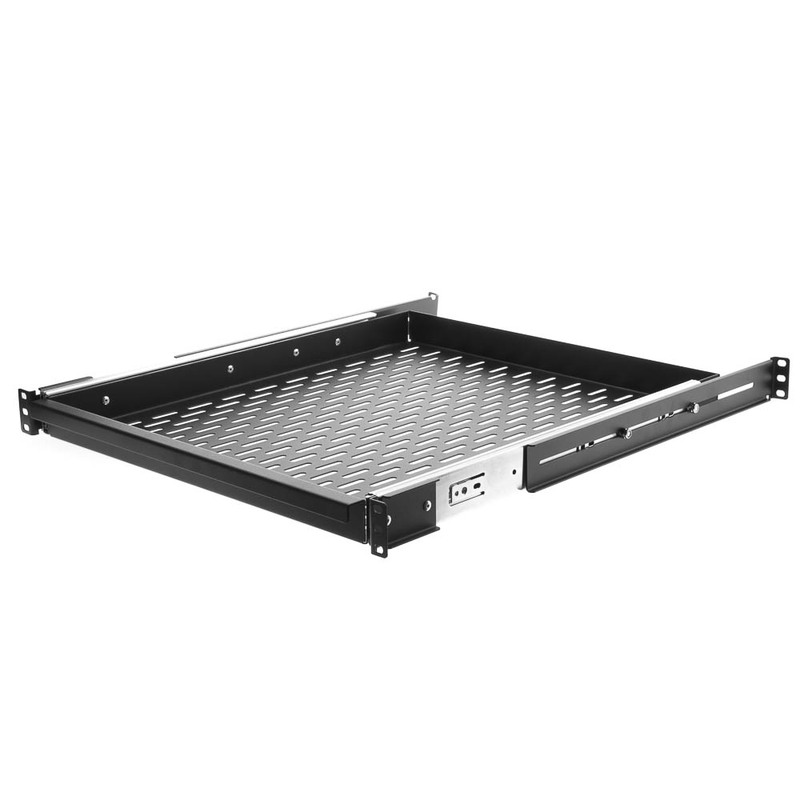 More Product InfoThis heavy-duty 20-inch deep, 16.5-inch wide vented sliding rack shelf extends a nearly 18 inches out of the rack and allows for convenient access to all of your important network components - right when you need them. 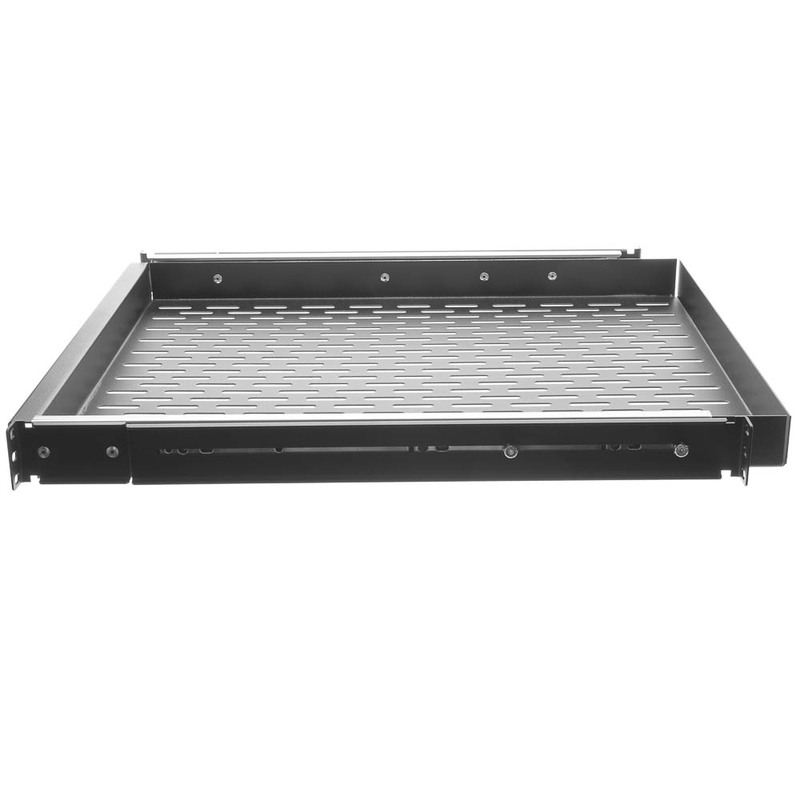 This sturdy shelf has a black powder coat and is vented to allow excellent air flow to your temperature-sensitive equipment. 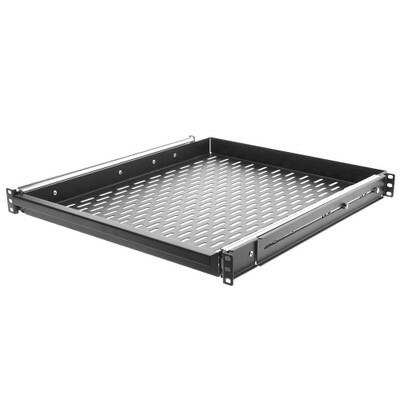 It features a built-in lip to makes for an easy-in, easy-out sliding motion that makes gaining access to your equipment easy. 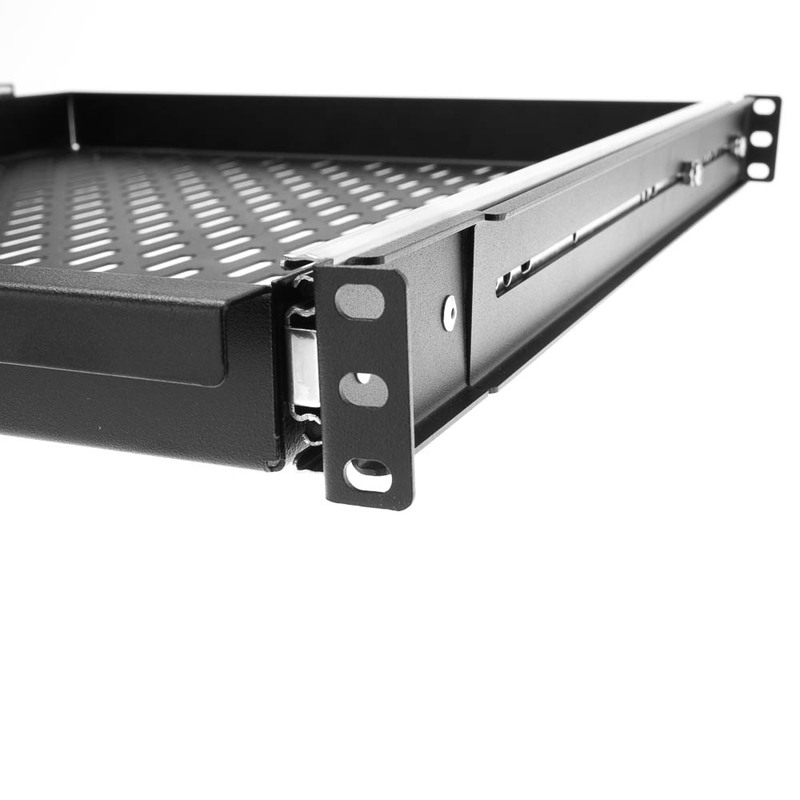 This simple-to-install rack has four mounting holds per U space, and can be used as a 1U drawer.